Lions, Tiger's, and Bears - oh my! 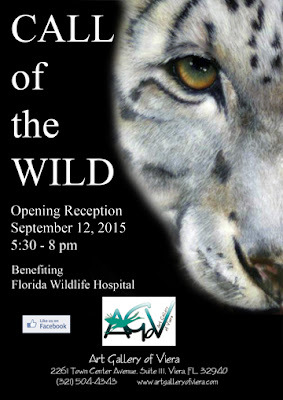 Experience nature like never before as Art Gallery of Viera members answer the Call of the Wild with inspiring works of art. Join them Saturday evening, September 12th from 5:30 to 8:00pm. They will be raising funds for the Florida Wildlife Hospital, so they will be joining us with a few special treats of their own. The gallery will feature light refreshments and a giveaway by Sheryl Hughes. Who knows what kind of animal you will get to see, or maybe even meet!